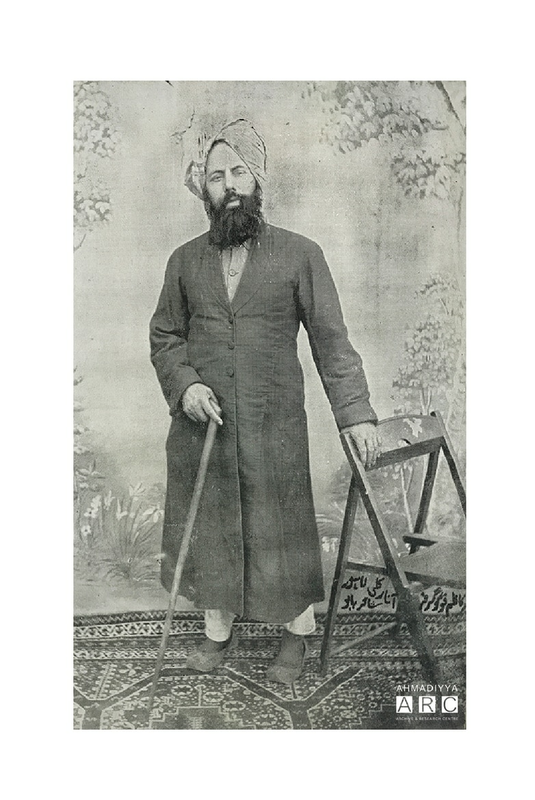 An allegation usually raised by the Jamaat’s adversaries is that Hazrat Mirza Ghulam Ahmad, the Promised Messiah and Imam Mahdi (peace be upon him) said on one occasion that no messiah could appear after him, whereas at another place he wrote that many more messiahs could. Below is the answer to this allegation. It is alleged on the basis of an extract from Ijazul-Masih – a book of Hazrat Mirza Ghulam Ahmad, the Promised Messiahas – that he mentioned that no Messiah would descend after him other than the Promised Son, whereas after mentioning the three occasions of the Messiah’s advent in his book Aina-e-Kamalat-e-Islam, he himself prophesied the coming of a jalali messiah (messiah of might) after his advent, close to the Day of Reckoning. Aside from that, in his book Izala-e-Auham, Hazrat Ahmadas revealed the possibility of the appearance of ten thousand messiahs. We are not in a position to determine whether further messiahs will appear after him or one messiah alone; who is the second Messiah and when will he appear? Hazrat Mirza Bashiruddin Mahmud Ahmadra never said about himself that he was likened to the Messiah. He merely declared that the prophecy of the Promised Son was fulfilled in his person. In answer, the extract of the Promised Messiahas, against which the objection has been levelled, shall be presented alongside its proper context. “The greatest and grandest tiding of Surah al-Fatihah is that it foretells the era and time of the Promised Messiah and Mahdias. Seeking strength from the loving God, I shall expound on this topic in its appropriate place. In other words, the Promised Messiahas says in this particular extract that the Israeli Messiah had passed away and one who has died can never return to this world because following death, those who have passed away are either hell-bound or in paradise. 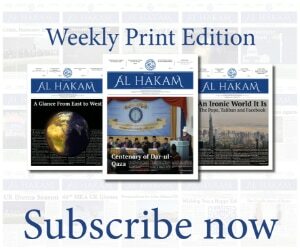 “They shall never be ejected therefrom” (Surah al-Hijr: V.49), dwellers of paradise shall not be ejected therefrom. Thus, the prophecy of the descent of Jesusas, which mentions that he would break the cross, slay the swine, would be the judge and arbitrator and would cause Islam to prevail over other religions refers to the person of Hazrat Mirza Ghulam Ahmadas. For this reason, he said, “Abandon the thought of Jesus’ descent”. Thus, where he stated that there would be no messiah after him till Judgement Day, alongside that he also clarified which type of messiah could not appear till end of this world. Thus, he mentioned, “Neither shall anybody descend from the heavens, nor shall they emerge from any cave”. It is clearly evident from this statement that the Messiah who would not come was the one whom people had sat alive in the heavens and whose descent they awaited. Similarly, he stated that the Mahdi whom people had sat in a cave and whom they awaited to emerge would not come. The Holy Quran states: “Allah sets forth for those who disbelieve the example of the wife of Noah and the wife of Lot. They were under two righteous servants of Ours, but they acted unfaithfully towards them. So they availed them naught against Allah, and it was said to them, ‘Enter the Fire, ye twain, along with those who enter. “And Allah sets forth for those who believe the example of the wife of Pharoah when she said, ‘My Lord! build for me a house with Thee in the garden; and deliver me from Pharoah and his work, and deliver me from the wrongdoing people. In these final verses of Surah al-Tahrim, Allah the Almighty has given the example of disbelievers with the wives of Noahas and Lotas. They are in the image of such disbelieving women. He has also drawn the example of believers with two women. Allah the Almighty says that some believers are the reflection of the wife of Pharoah, Asiya, who are supressed by the metaphorical Pharaoh of their own baser egos. On some occasions, they perform good deeds, and on others, commit evil deeds but do not delight over their faults. Contrarily, they continue to pray, like the wife of Pharaoh, to be saved from being overwhelmed by their baser egos and the actions resulting from its effects. After mentioning this example, God Almighty says that some believers possess an even higher rank. They are likened to Maryas – they are pure from every evil and sin from the outset. Like Maryas, God’s angels descend on these believers as well. When some believers progress further from their spiritual resemblance to Maryas, it leads to the spiritual creation of the Son of Mary. Then, due to spiritually attaining the status of the Son of Mary, they become like unto him. Thus, believers born between the advent of the Holy Prophetsa and Judgment Day are attaining a rank from among these stages and will continue to do so. Some believers are in the image of Asiya, the wife of Pharoah, and others are the reflection of Maryas, and the believer who progresses from the stage where they are spiritually like Maryas is likened to Jesusas, Son of Mary. In this Hadith, the same topic as Surah al-Tahrim has been mentioned. فمعناه ان كل مولود يطمع الشيطان في اِغوائه الا مريم و ابنها فانهمامعصومان و كذلك كل من كان في صفتهما. That is, every individual who is imbued with the attributes of Maryas and Jesusas is safeguarded from the influence of Satan. Thus, in light of the purport of the aforementioned Quranic verse, those who have attained closeness to God have been declared like unto Maryas and Jesusas in this Hadith as well. In other words, some of the righteous are in the image of Maryas and some are in the image of Jesusas.